Deluxe rooms look out onto the hotel lawn, the ruins of the 12th century McCarthy Mor Castle, which is floodlit at night, and of course the Lakes of Killarney. An additional seating area in each room as well as a balcony * with outdoor seating allows for ample space to lounge and relax whilst also enjoying the famous views no matter what the weather. *the majority of deluxe rooms have balconies but not all as some are located on the ground floor of the hotel. 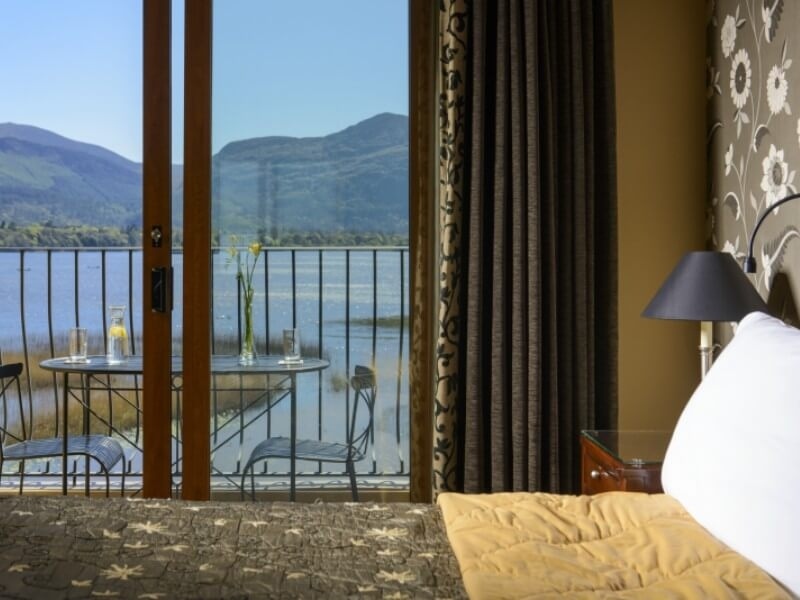 If you would particularly like a balcony room, please let us know and we will note this on your reservation details.